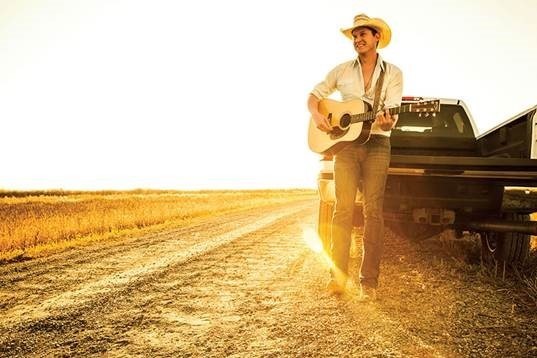 Country music’s Jon Pardi makes his late night television debut March 14 on NBC’s Late Night with Seth Meyerswhere he will perform his latest Top 5 hit “Dirt On My Boots.” Pardi will also visit ABC’s Good Morning AmericaMarch 23 to perform the grooving hit tune. “Dirt On My Boots” currently has over 20 million streams on Spotify and it has remained Top 5 in combined sales and streams of current country singles for an incredible 14 weeks in a row. “Dirt On My Boots” follows Pardi’s No. 1 Platinum-selling smash, “Head Over Boots,” the lead single off his No. 1-debuting album, California Sunrise. Released in June on Capitol Records Nashville, Pardi’s album landed on multiple “Best of the Year” lists including Rolling Stone, Music Aficionado, The Tennessean and NASH Country Daily. Pardi, who recently earned his first ACM Award nomination for New Male Artist of the Year, is currently on the road with Cole Swindell and Dierks Bentley for the What the Hell World Tour in addition to his own headlining shows. Upcoming dates include Tallahassee, FL; Las Vegas, NV and San Jose, CA. For more information, music and tour dates, please visit www.JonPardi.com. Visit his Facebook page, and remember to “Like” it while you are there. Check out some of the other social media links he has on his website, and follow him on Twitter @JonPardi.